Manchester United legend Gary Neville has criticised Arsenal boss Arsene Wenger for his reluctance to sign a powerful midfielder, reports the Daily Express. The Sky Sports pundit believes that the Gunners need a player of that type to challenge for the Premier League title. However, the North London club have arguably failed to bring one in since the departure of Patrick Vieira in 2005, and coincidentally haven’t won the league since the season before he left. 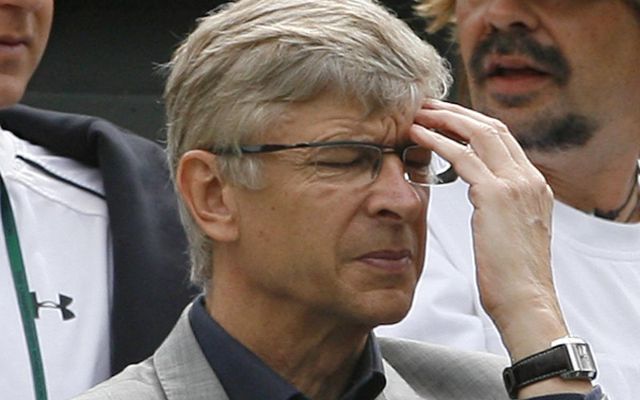 This summer the Frenchman has only brought one player to the Emirates Stadium, in the form of Petr Cech from Chelsea. Despite this, and the fact that they finished 12 points off the pace last time round, some are tipping the team to challenge their Stamford Bridge rivals and Manchester City for the top flight. Their results in the first two matches haven’t lived up to this. On the opening weekend the Gunners lost 0-2 to West Ham, and in their second game they just managed to scrape a 1-2 win over Crystal Palace. If they are to improve on their third placed finish of last season, these performances will have to improved upon.